Since the introduction of FATCA in 2010, it’s been a game-changing law for all U.S. persons abroad. Find out what FATCA is about, why you need to file it and what happens if you fail to do so in our weekly infographics. 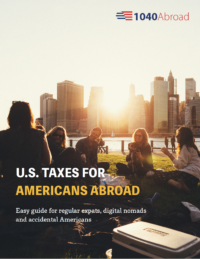 For 5 years our tax experts have helped U.S. expats with FATCA reporting and we would be glad to help you too. Contact us now! Great new website Olivier with lots of useful info. I have been using your services for a number of years a will continue to do so. The service you provide is exceptional. Keep up the good work and all the best….